There’s a moment in The Lost Legacy where Chloe Frazer is lost for words. She’s seen just one too many ancient cities for the day, marvelling at their beauty and mystery with superfluous adjectives and praise. The wonder is still there, but at this point she simply can’t find anything unique to say about the rest. They’re all wonderful, even if they all feature the same core designs and inspirations. In a way, it’s a pretty apt description for the Uncharted series and where Lost Legacy fits in. It’s a game that revels in the mechanics of its forbears, but still manages to deliver a spectacle in both action-packed set-pieces and stunning vistas for you to just chew on. 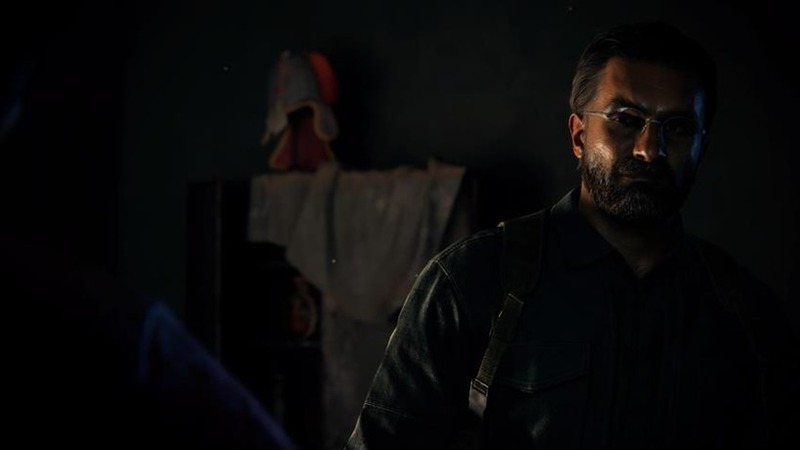 Trading out series veteran Nathan Drake (who has stared in the last five Uncharted games), The Lost Legacy instead draws on two rogues from old and modern entries. 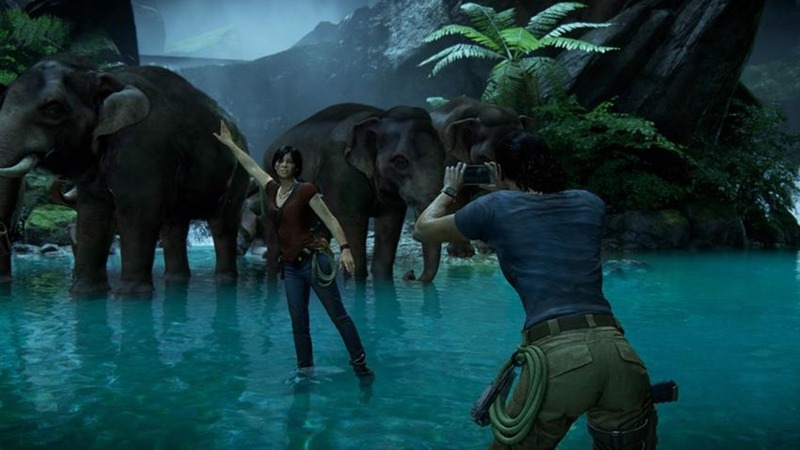 Chloe Frazer is the loveable, often untrustworthy treasure hunter from Uncharted 2, while her new partner in crime, Nadine Ross, should be familiar to anyone who journeyed through Uncharted 4 not so long ago. While their partnership ticks some of the boxes in the connecting lore, it’s not as important as the journey they end up taking together, which forms the crux of an emotional bond that develops between the two through the 8 or so hour-long adventure. Chloe and Nadine are both in search of a big score, attempting to track down the Tusk of Ganesh in the heart of India. It’s an adventure first spurred on by monetary gain, that quickly transforms into a larger than life action film, with a classic moustache twirling villain who sadly doesn’t have time to really flesh out his own motives. Like most Uncharted tales before it, the treasure itself takes a backseat eventually, acting simply as the McGuffin to drive the narrative towards a more high stakes affair with loads of gun fights and consequences. Yet despite the encompassing tale, The Lost Legacy feels best when it’s putting Chloe and Nadine in view. Their rocky relationship blossoms in a natural way, as they both slowly start revealing their true motives for taking the job. 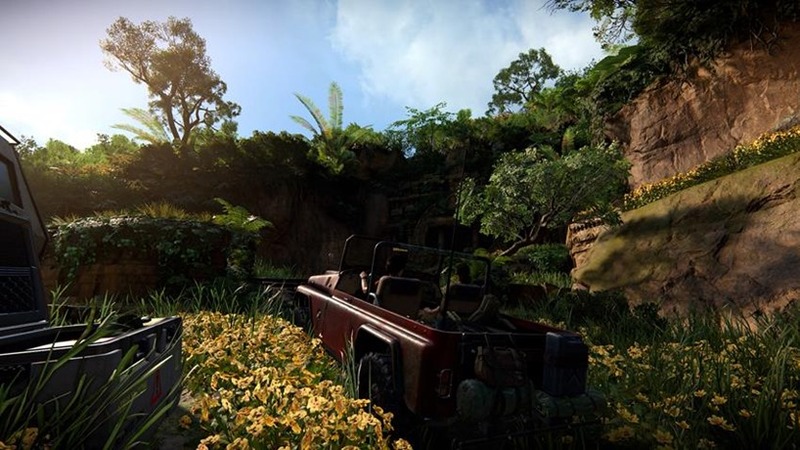 Chloe reminisces over her father and his passion for finding this very treasure, while Nadine shows her vulnerability after losing control of her military outfit in Uncharted 4. Believable relationships are difficult to form in such a short time between two rather unfamiliar characters, yet The Lost Legacy pulls this off with ease. Their victories and tragedies are shared before the credits roll in authenticate ways, making you care more about them both in a way previous entries never gave you the chance to. It doesn’t mean the actual hunt for treasure is any less entertaining though. The Lost Legacy features a massive playground for you to explore in its opening moments, which give you more freedom to move around than any Uncharted has yet. Think of Uncharted 4’s stunning Madagascar chapter and you’ll have an idea of how Lost Legacy initially opens up. Having freedom to explore at your own pace and uncover secrets as you go is initially exhilarating for an experience often closely kept on the straight and narrow, even if it’s quite short-lived in the grander scheme of things. The mechanics, however, don’t always suit it. Although you have the chance to really get you legs tired climbing and peering into every nook and cranny there is, Lost Legacy rarely rewards your curiosity with anything more than additional combat encounters and throwaway trinkets. The treasures themselves don’t offer to the story either, which was disappointing especially for one of the game’s only real side activities. Lost Legacy quickly trades out this open-ended approach for a better linear path, but it’s hard not to imagine what could have been done better. The attempt is admirable, but The Lost Legacy shows off why Uncharted feels so polished in the first place when it’s making sure you’re playing by its rules. Pacing is exceptional here yet again, with a healthy mix of more open-ended fire fights and exploration interchanging when they really need to. 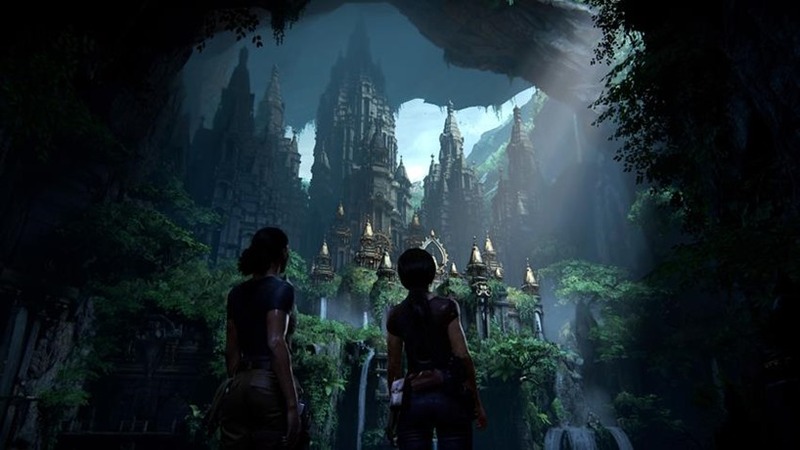 Puzzles play a much larger role in The Lost Legacy than you might remember from Uncharted, and they become increasingly complex with each solution. There are loads of radial picture matches, but for every one there lies a greater, more complex cranial challenge that breaks up the pace in clever ways. Combat is still enjoyable, but it’s still got the same sorts of issues that Uncharted has always had. AI is sometimes beholden to odd behaviours, sometimes running directly at you before attempting to engage or standing outside of cover for no real reason. 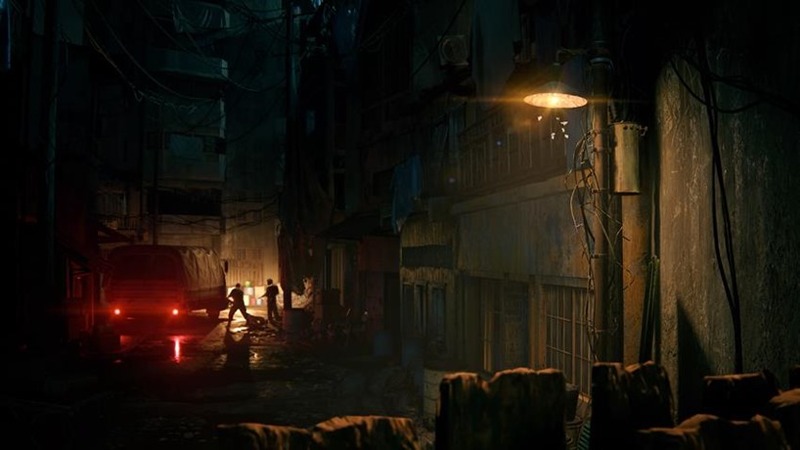 The freedom to move within these combat spaces injects a better sense of agency to the action (something which Uncharted 4 did as well), but also lends itself to some confusion. A handful of fighting spaces just feel confusing to traverse, leading to multiple deaths where enemies would illogically appear from spaces previously cleared to quickly wipe me out from behind. Combat was never really the cornerstone of the Uncharted experience, but its action set-pieces were. And even with the shorter running time, The Lost Legacy manages to pack in some of the series’ best here. There are exhilarating, last ditch efforts to escape crumbling tombs and hordes of enemies, each of which feels just as engaging and fun to watch play out. They only get better as they progress too, culminating in a sort of throwback to arguably one of Uncharted’s best sequences to date. The climax brings together all of the series’ new mechanics and freedom to a space that immediately feels familiar, acting as a showcase of just how far Uncharted has come while maintaining its high bar of cinematic action and presentation. Although that is something to take into consideration: The Lost Legacy doesn’t really do anything new with the mechanics it presents. 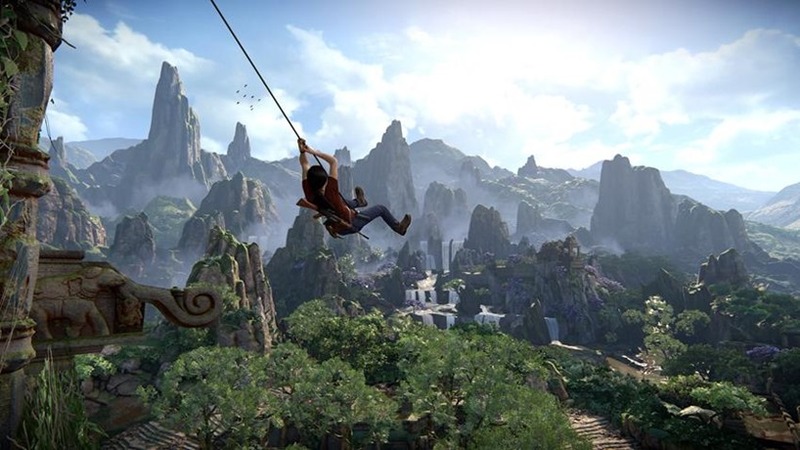 It feeds off of the many changes Uncharted 4 presented, giving you the rope hook, wall spike and many, many slides down muddy surfaces to contest with, but it does have a sense of “been there, done that”. The Uncharted formula itself has not routinely changed over its now six entries, which already felt a little tired in the last core entry. The Lost Legacy doesn’t leverage this into something new, but it does work with them to make the experience feel as good as it can. It it succeeds for the most part. It might take a while for its wheels to start turning, but The Lost Legacy is a love letter to all of the best things that Uncharted does so effortlessly. Its tale is steeped in emotion and personality, and it’s a marvel that two complete strangers can have you wanting a lot more from them by the time you’re done. Chloe and Nadine could have easily carried this series in another life, but it wouldn’t be the worst thing for Uncharted to sunset off their captivating team-up. The Lost Legacy is a true Uncharted experience through and through – just don’t expect it to deviate much from its already covered paths. Uncharted: The Lost Legacy is a tightly compacted Uncharted experience that leans heavily on the established structures and mechanics from the past. But its new choice in cast and creative, emotional tale that really makes the brief journey shine - from one massive action spectacle to the next.